You've probably seen ads from companies offering to help settle credit card debt and wondered whether they were scams. Though there are legitimate debt settlement firms out there, you probably don't need to use one to settle debt. 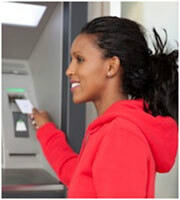 Use the following tips to help you decide how to settle your credit card debt. Don't wait until it's too late to negotiate with credit card companies. Some card issuers may be willing to settle your debt for a lower amount, but you must take the initiative to pursue a debt settlement. Contact your credit card firm and ask to speak with a manager authorized to discuss debt settlement. The first phone call may not get the results you want, so be prepared to contact your card issuer several times. It's important to make a note of the first and last name of the person you speak with about settling credit card debt. Write down the date and time of calls, as well as what was discussed. If your credit card company agrees to settle your debt, insist on getting a letter in writing once the debt has been paid off. Having this letter can help you deal with any debt collection agencies that may continue to harass you about your credit card debt even after it has been settled. Expect your FICO score to fall after a debt settlement. A person with a 780 credit score can see it drop 105 to 125 points after settling credit card debt, while a person with a 680 score can see it drop 45 to 65 points. Debt settlement doesn't impact your credit score as much as filing bankruptcy would. A bankruptcy can drop a 780 score 220 to 240 points, and a 680 score can fall 130 to 150 points. Generally, credit card companies won't even begin to discuss debt settlement until you're at least two months behind on payments. They also may be more willing to negotiate if they believe there is a real possibility that you might file for bankruptcy, in which case they may never get paid. Always stay calm when negotiating, and don't allow the person you speak with to anger you. The more courteous and responsible you appear to credit card companies, the more likely they are to negotiate. Let them know that even though you are having financial problems, you want to do the right thing with your credit card and find a solution that works for everyone. 0 Responses to "How to Settle Credit Card Debt"